Event located at 2323 N. Broadway, Santa Ana, Corner of Broadway & Santa Clara Street. 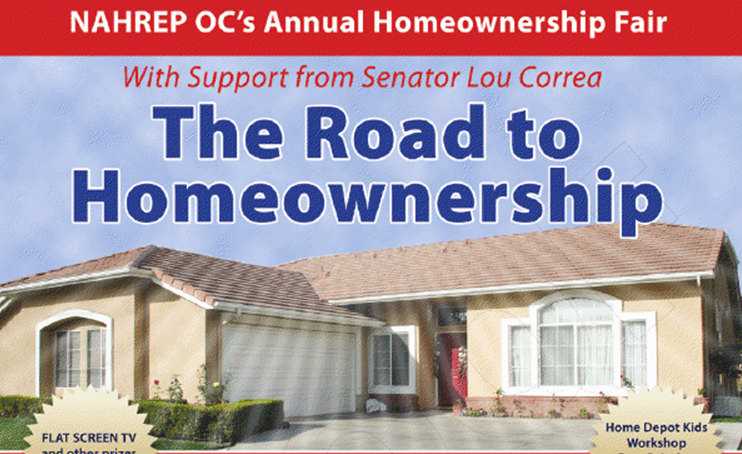 In collaboration with Neighborhood Housing Services OC, Consumer Credit Counseling Service OC, Fair Housing Council OC, HUD, Affordable Housing Clearinghouse, OC Association of Realtors, Bank of America, Chase, Wells Fargo, Freddie Mac, E*Trade. Click here to read the event fliers, in English and in Spanish.